Lahore: Punjab Chief Minister Muhammad Shahbaz Sharif and Federal Interior Minister Ch. Nisar Ali Khan went to the residence of Muhammad Hanif Abbasi, former MNA of Pakistan Muslim League-N in Rawalpindi, today. 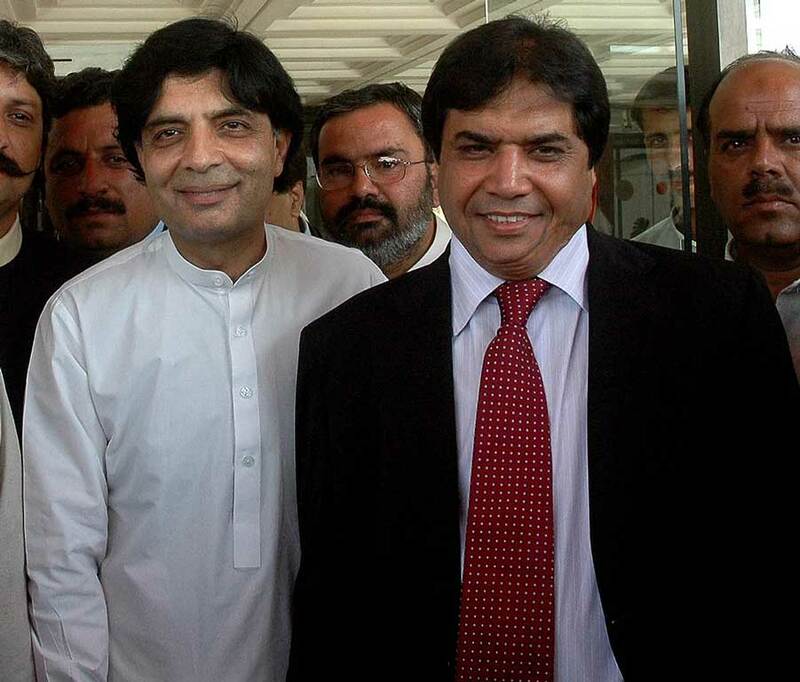 They congratulated Muhammad Hanif Abbasi on the marriage of his daughter. The Chief Minister gave a bouquet to Muhammad Hanif Abbasi and expressed good wishes for his daughter. Chairman Solid Waste Management Company Raja Hanif Advocate MPA, Rahat Qaddusi, Zia Ullah Shah and Chairman Board of Governors Rawalpindi Medical College and Allied Hospital Dr. Muhammad Aslam were also present on the occasion.